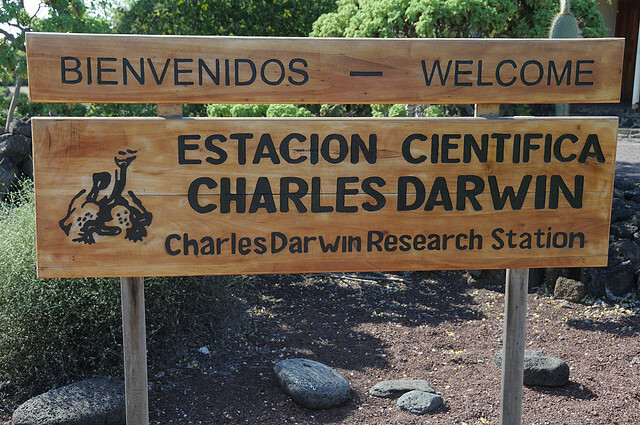 The creation of the Charles Darwin Foundation and the Galapagos National Park protected area soon followed in 1959. Since then, in conjunction with the Government of Ecuador, the CDF has served as CDRS's principal scientific and technical advisor. 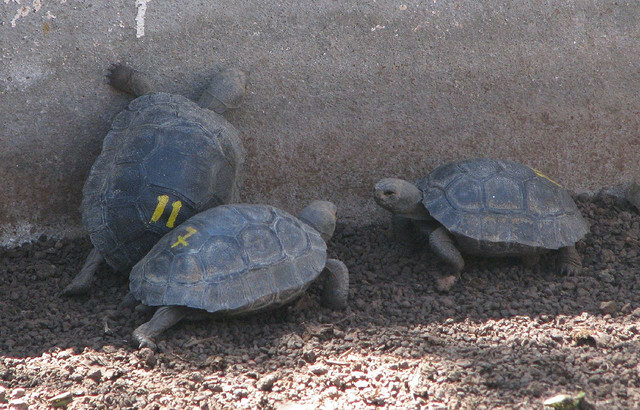 It provides necessary independent research to address the many challenges unique to Galapagos' vulnerable biodiversity. They now have not only an extensive tortoise breeding program, but also a laboratory dedicated to incubating and rearing Mangrove Finches, an endangered finch species - one that Charles Darwin himself identified. Eggs are being incubated and the first chicks are hatching. There is an extensive project to increase the number of endemic Galapagos penguins, the rarest and most endangered penguin species in the world and the only penguins found at the equator. Because there are limited options for nest sites, scientists have intervened to provide what has been described as "high-quality, shady nest sites ('penguin condos') on Isabela, Fernandina, and Bartolomé' Islands, where penguins currently breed." There are already signs of success. Read my extensive post about Galapagos penguins for more about this unique and remarkably cute species. 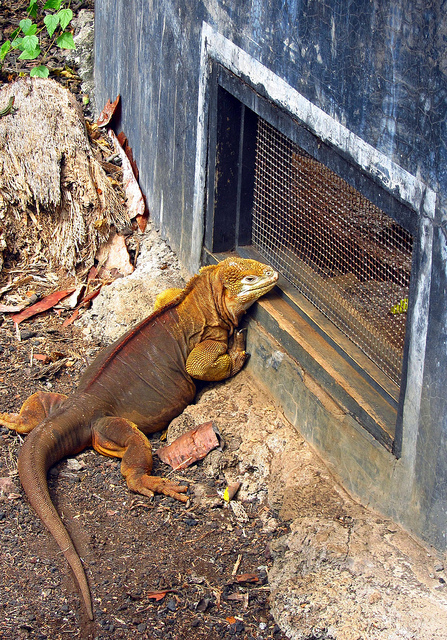 Iguanas are being studied. And, all types of introduced species are being eradicated in very extensive projects. Many more projects are spear headed at the CDRS as well. We can't know just how much damage would have been done to the extraordinary ecological wealth and biodiversity of the Galapagos archipelago if the islands had not been declared a National Park and the CDF and CDRS had not come into being. However, despite the fact that much still remains to be done to protect the islands, undeniably this has been a successful and essential partnership that has benefited Galapagos, Ecuador and the rest of the world. To learn more about the CDRS and its work, visit my earlier blog post on the subject and the Galapagos Conservancy web site.